Debut Album coming August 2019! 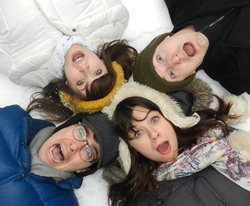 "Featured Actress in a Musical"
Emily joins the ensemble in this epic pop-rock musical April 13th to June 5th. Emily Rohm as Arminy (and covers the role of Julie Jordan). Tickets and info here. Emily stars as magical Mary Poppins this holiday season! Tickets and info available here. Now extended through August 17th. Emily is featured in the role of Cosette. Come see this epic musical starting March 29th. The Beatles! The Lincoln Squares! Chicago music theatre stars! Wine! What more could you want in one evening? Come out to this ONE-NIGHT-ONLY event. 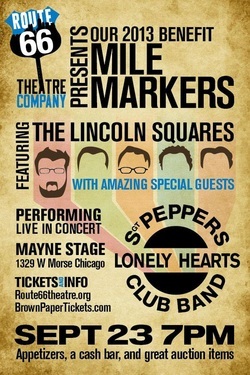 The Lincoln Squares and some of Chicago's best singers will be performing the entire Sgt. Pepper album like you've never heard it before. The Route 66 Theatre Company has a great season planned, but they can't do it without your support! Why not come out to support them and have an amazing evening while doing it! Emily is featured in the role of Irene Malloy. 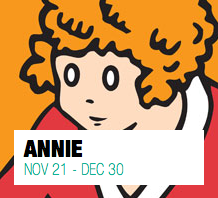 This classic musical runs from October 17th to January 5th. Emily is covering the roles of Gabriella and Gretchen. Come see this hilarious farce June 3rd through August 4th. A Musical Adventure! The classic tale, live on stage. A special one-hour presentation for children of all ages. NEW DATE!!! Due to the flu, we had to reschedule!! Come see us on March 14th. Thursday, March 14th at 8pm. Tickets are $13 / 2 drink minimum. Thursday, February 28th at 8pm. 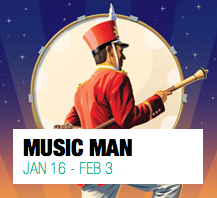 See Emily Rohm perform holiday classics and a sneak peek of Music Man at Paramount Theatre. Happy Holidays - Broadway Style! Emily has joined the team at Stewart Talent!